Obituary for John C. "Jack" Groft | Feiser Funeral Home, Inc.
John C. “Jack” Groft, 74, died Sunday, March 17, 2019, at the Lebanon VA Hospital. He was the husband of the late Joyce M. (Overbaugh) Groft, who died January 31, 2006. Jack was born November 28, 1944, in Hanover, the son of the late Harold F. and Mary A. (Carbaugh) Groft. 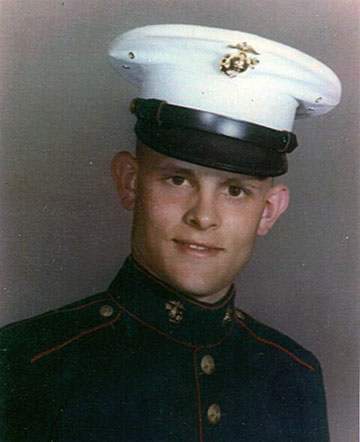 Jack was a member of Immaculate Conception Catholic Church in New Oxford, served in the U.S. Marine Corps during the Vietnam War, and was a member of the Hanover V.F.W. Jack is survived by a daughter, Michele R. Sehestedt of New Oxford, four sons, John M. Groft of Harrisburg, Patrick A. Groft of New Oxford, Steven A. Groft and his companion Teresa Hickman of Spring Grove, and Scott A. Groft and his wife Tara of Hanover, ten grandchildren, Aaron Sehestedt, Carley Sehestedt, Carl “Bud” Sehestedt, IV, Marianna Sehestedt, Christopher Sehestedt, Justin Sehestedt, Alexandria Groft, Zachary Groft, Owen Groft, and Charles Groft, 3 great grandchildren, three brothers, Jim, Pork and Bill Groft, and two sisters, Bonnie Stauffer and Kathy Noel. A Mass of Christian Burial will be held on Friday, March 22, 2019, at 10 AM at Immaculate Conception Church, 106 Carlisle St, New Oxford, with Rev. Michael Letteer officiating. Burial will be in Annunciation Cemetery in McSherrystown. Serving as pallbearers will be his seven grandsons. A viewing will be held on Thursday from 6-8 PM at the Feiser Funeral Home, Inc, 302 Lincoln Way West, New Oxford, with prayers at 8 PM. Memorial contributions may be made to Roots for Boots, PO Box 213, New Oxford, PA 17350. Memories may be shared at www.feiserfuneralhome.com.